We’re sure your won’t disagree when we say that there are many different types of Overhead Garage Door Designs available to consumers today. 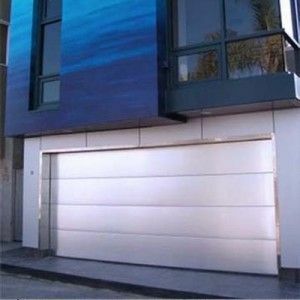 Overhead Garage doors are obviously different in design from regular doors. These doors are usually not hinged, but instead function with the sue of a mechanical pulley system that is used to open the door remotely. There are many types of garage door designs on the market. One popular type of design is known as a sectional door. Sectional doors are typically made of six to eight wooden or fiberglass panels. These panels can either open on hinges like a regular door, or slide up ad overhead like an overhead garage door. Sectional garage doors are very reliable, even more so than single-doors because they have multiple tracks, which make it less likely to fail. Another type of door is a monolithic door. This type of door is more difficult to install and harder to use. Instead of it folding, monolithic doors are constructed of a single panel. If it’s the type of door that opens to the side, it will requires a large space in order for it to open properly. If the garage doors opens by sliding along the ceiling of the garage, then it will require a lot of space in the front of the door. The reason why people choose a monolithic door is because a monolithic door thicker, heavier, and will protect the contents of your garage more securely than a sectional door. Overhead garage doors that are sectional use much less space than sliding doors and monolithic doors. Most types of garage door designs are controlled by a remote control from inside the car, so the user does not need to exit the car to open the door. This makes things a lot more convenient. Most garage doors require very little maintenance, and can sometimes even be wired into the alarm system of the home to help protect against unwanted visitors. Painting your Overhead Garage Door can make it very aesthetically pleasing. If the battery dies on the remote control for the garage door, it can be a hassle to replace it. Sectional overhead doors are sometimes easier to break into than monolithic overhead doors because they do not offer as much security. Paints and stickers fade over time so you’ll have to repaint it from time to time. Call NYC Rolling Gates today at 888-322-9035 to learn more about Overhead Garage Doors and how they can best serve you. The Overhead Garage Door is something that is a very familiar and noticeable thing in the American household. It purpose is usually used to cover the garage. Inside the garage you’ll usually find tools, old junk and other clutter. 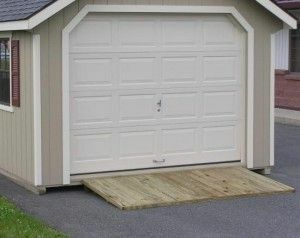 The garage door is by far the most convenient method of hiding and protect cars and other things that might be stored there. Doors aren’t typically found within the garage but overhead garage doors actually provide full protection to belongings and also provide privacy. There are various materials from which a Overhead Garage Door can be made. The most common materials are wood and metal scraps, but it also depend son the owner on how he would like to make the door be an extension of his personality. Even though metal overhead garage doors are frequently used due to its accessibility and affordability, garage doors can also be made of wood. Wooden doors take time to be built and wood attracts termites so it tends to be less popular than the metal type. An Overhead Garage Door allows you to cover up your entire garage with one press of a button. Unlike gates which can potentially be stolen, overhead garage doors end up preventing this. Some garages are two to three cars wide and fences just won’t do the trick. Another problem is that in some neighborhoods the actions of everyone inside the community can’t be monitored so if for example you leave your car parked outside, it may end up getting scratched and no one would be held liable for it. Technology has been moving at such a rapid pace that the button-operated Overhead Garage Door is being now replaced by remote, voice or sensor controlled ones. In addition, it is harder for thieves to access the inside because of its more personalized finish. Some homeowners go above and beyond and may use fingerprints to gain access. Building an Overhead Garage Door requires a lot of hard work. 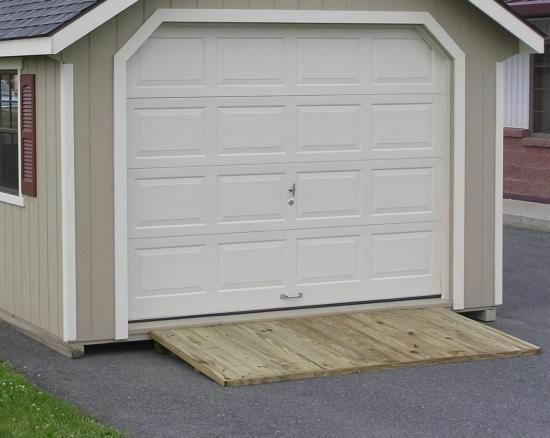 Since garages vary in size, the majority of these doors are custom made to fit perfectly. Sometimes there might be ready-made doors available and can be modified later o the specifications of the owner. If you’re someone who’s interested in trying an Overhead Garage Door but have never experienced having one, then we strongly recommend you contact NYC Rolling Gates at 917-439-8428 and allow us to help you find the type of overhead garage door that’s right for you! We’re open 24 hours a day, 7 days a week. New York, NY 10013, NYC Rolling Gates has got everything you need. Selecting the right type of commercial or residential door or window can sometimes be a daunting task. In addition to that, choosing the right materials is also very important as metal is not always the best choice. Sometimes doors made from wood or special vinyl might be a better alternative, depending on the situation. Luckily our team is here to help you make the best possible decision. Open 24 hours a day, 365 days a year, NYC Rolling Gates has many dedicated specialists ready to install that remote controlled gate or overhead door in no time! It doesn’t matter how big or small the job is, NYC Rolling Gates is committed to providing you with the best possible work in record time. NYC, NY: Battery Park City, Canal Street, Carnegie Hill, Chelsea, Chinatown, Clinton, East Harlem, East Village, Financial District, Flatiron, Gramercy Park, Greenwich Village, Hamilton Heights, Harlem, Hudson Heights, Inwood, Little Italy, Lower east Side, Midtown Manhattan, Morningside Heights, Murray Hill, NoHo, Randalls Island, Roosevelt Island, Soho, Spanish Harlem, Sutton Place, Tribeca, Tudor City, Union Square, Upper East Side, Upper West Side, Washington Heights, West Village, Yorkville. A garage is by far one of the most important parts to any home, since it is the designated area used to store cars, tools, as well as other items. The most vital part to any garage is its door. It is the garage door that not only gives the garage its look but also give the garage functionality in addition to safety. 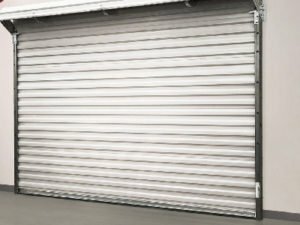 Roller garage doors – these types of garage doors are the perfect option for garages that have issues with space or houses with short and narrow driveways. Made of narrow strips of aluminum, these types of doors wrap around a drum that is positioned above the opening of the door. These types of garage doors have no overhang, swing or reduction in width. 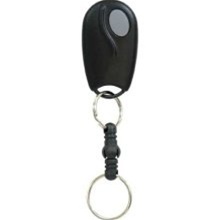 Generally a remote control is used to operate these doors which basically means that you do not need to leave your car in order to open your garage door. Sectional doors – this particular type of garage door is segmented into large subdivisions along the breadth of the door. The door opens upward into the ceiling space inside the garage. The great thing about these types of garage door is, they’re perfect for large and small doors. Up and over garage doors – this type of garage doors first swings open towards the driveway then is moved up. Once the door is totally open it is parallel to ceiling of the garage. The drawback to this type of door however is that space is needed for opening and swinging the door, making it really only suitable for garages with long driveways. Swing hung garage doors – swing hung garage doors are similar to the standard doors that are hinged. Needless to say, these types of doors require space in front of the garage so that they may be opened easily. They are also not recommended for narrow driveways. This is a how to on programming your Lexus Homelink with a rolling code garage door. Extreme How-To shows how to build a temporary brace wall. This temporary wall supports the overhead structure when removing an existing load-bearing wall to install a new door, a new window, or to connect two rooms. This video shows you a step-by-step demonstration of how to install The Human Trainer Ceiling Mounts in an overhead beam or door. The Closeout Crew has the last hands-on job before the space shuttle flies — from strapping in the astronauts to securing the launch pad’s White Room before liftoff. If a recognizable person appears in this video, use for commercial purposes may infringe a right of privacy or publicity. It may not be used to state or imply the endorsement by NASA employees of a commercial product, process or service, or used in any other manner that might mislead. Accordingly, it is requested that if this video is used in advertising and other commercial promotion, layout and copy be submitted to NASA prior to release. AMS Locks & doors offers a variety of Locksmith & Door Repair Services in Pompano Beach FL ,Boca Raton FL , Fort Lauderdale FL ,Deerfield Beach FL,and other locations in Broward county & Palm Beach County in south Florida. Among the services we offer: Commercial ,Residential Locksmith services: lock change /replacement Re-key (Change,Replae existing key with a new key) lock repair High security locks re-keyed and installed intercom systems Door Closers File cabinet and desk locks Key cabinets Master key systems Medeco M3 Bump proof Locks Panic,emergency exit devices patio door locks Padlocks Deadbolts Door Locks Key cylinders Door Knobs & Lever handle locks Mailbox locks changed Sliding glass door Locks Safes combination change, sales, repair. Emergency Lockout Services. (Home ,Office) Door Viewers Storefront doors & Door Locks Repairs Car Keys made Many other Services.. Professional certified Locksmith Service. Competitive Prices. Free Estimates.